The inviting LSL at 3 Cockburn Street, Curtin. Photos supplied by Lil Street Libraries. 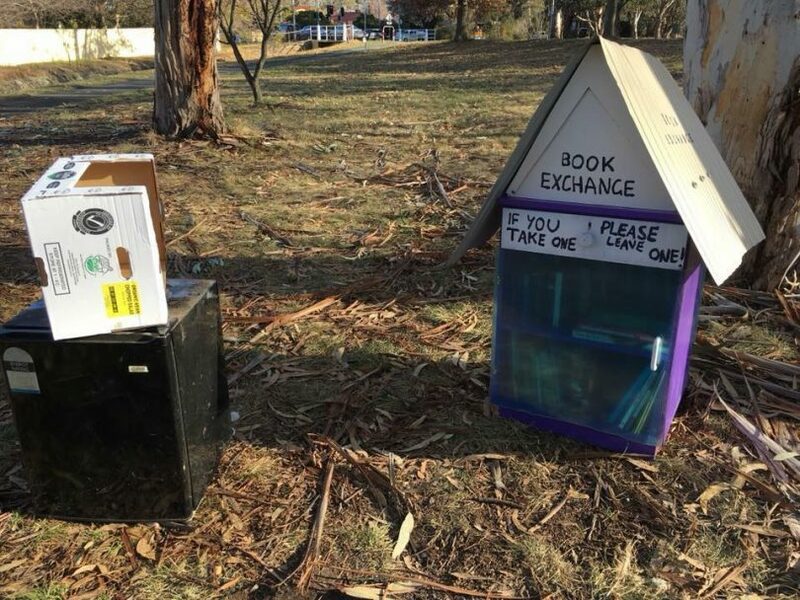 Despite problems with vandalism and theft, the number of street libraries in the Canberra area has doubled in the past year and organisers are hoping to see at least one in every suburb by the end of 2019. 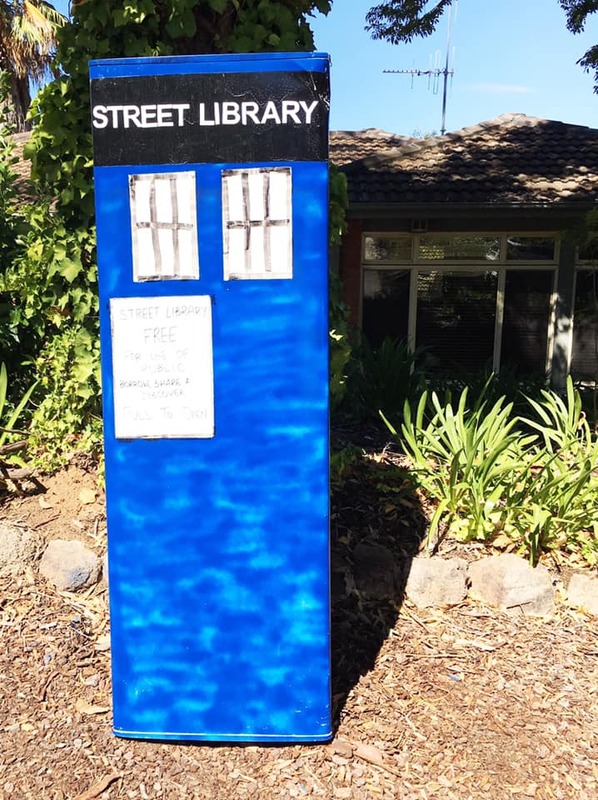 Early last year, Canberrans Shah Bahpyu and Roz Martiniello made it their mission to spread the word about the many miniature libraries popping up all over Canberra and Queanbeyan and to interest more people in starting up their very own Lil Street Library (LSL) outside their homes. That initiative, which includes a Facebook page showing the locations of each of the libraries, has proved to be a big success, even though there were some challenges along the way. Now the two women want to see the LSL network expand much further. Roz Martiniello (left) and Shah Bahpyu at the LSL which Shah originally created at 30 Garanya Street, Waramanga. “When Roz and I first started in March last year there were 35 street libraries in Canberra and two in Queanbeyan. By 31st December last year it had grown to 74 – so it has doubled,” said Ms Bahpyu, without wanting to take too much credit. “It’s wonderful! I think we’ve had a small part to play but the concept has just exploded. It’s something that people have really resonated towards. “Now we’re challenging Canberra to have a street library in every suburb. One of the five LSLs in O’Connor. Photo: Genevieve Jacobs. Ms Bahpyu said they will be looking at ways to strategically assist some of the trickier suburbs to get a LSL – particularly where those suburbs are mainly made up of apartment blocks. However, they are urging Canberrans to consider if they should host a LSL or help to get the word out. “If you know a friend who is in a suburb that doesn’t have a street library maybe you could encourage them to get one,” said Ms Bahpyu. 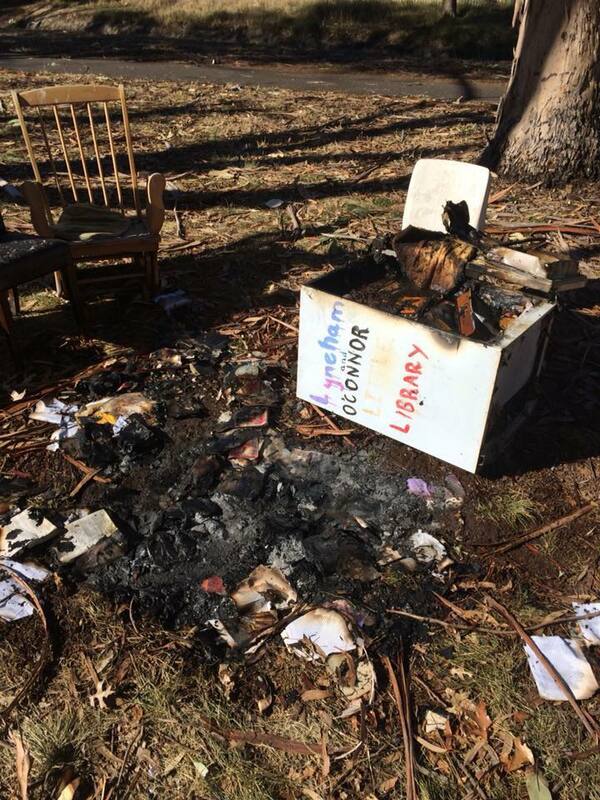 Ms Bahpyu acknowledges that the growth of LSLs in Canberra has had some setbacks in recent times, with a street library in O’Connor “vandalised, burnt and destroyed” in late July last year and one stolen from the suburb of Franklin on August 3 – the day after it was set up. The O’Connor LSL which was vandalised and burnt in July last year. However, both incidents quickly turned around and seemed to galvanise community support for the street libraries. In the case of the O’Connor LSL, the community banded together to provide two replacement LSLs stocked with books at the same location. The stolen Franklin LSL was actually returned around two weeks later with all the books inside and an apology note. The stolen Franklin LSL was returned with this apology note. Ms Bahpyu said the LSLs help to bring communities together and are “fantastic for children”. 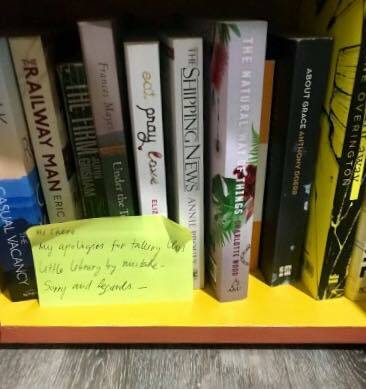 “It’s like a little treasure hunt for children to find new books,” she said. The suburbs of Curtin, O’Connor and Page currently have the most LSLs, with five each. However, Evatt, Kambah and Waramanga aren’t far behind with three LSLs each. 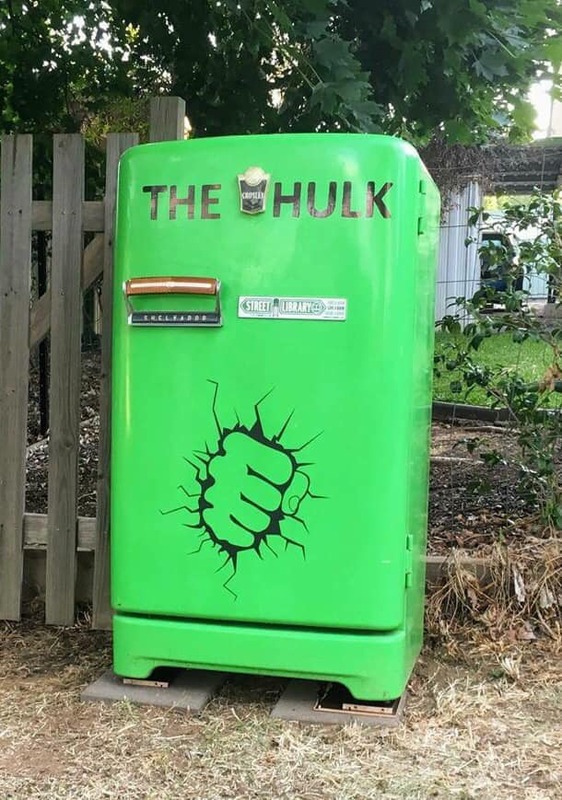 The Hulk LSL at Evatt. 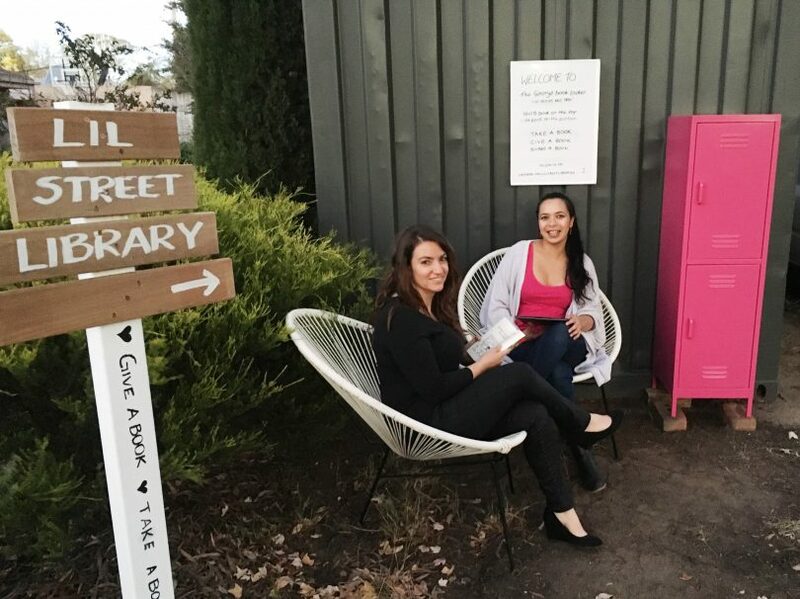 Street libraries are a fairly recent phenomenon in Australia with the first Canberra LSL believed to have been started in Curtin around five years ago. 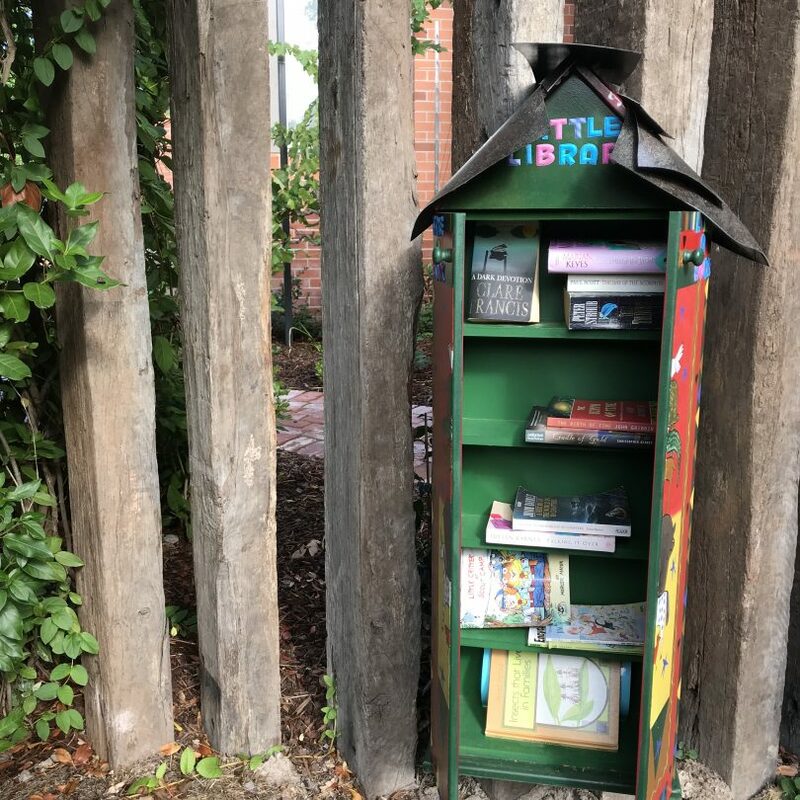 In a nutshell, a street library is a home for books in a person’s yard which is accessible from the street and is stocked with books for neighbours or walkers-by to share or add to, without the need to be checked in or out. Ms Bahpyu said it is easy to start a street library but the main thing is to make sure it is accessible 24/7. To see the current list of LSLs in Canberra and Queanbeyan, please click here. To find out more about Canberra’s LSLs please go to: https://www.facebook.com/Lilstreetlibraries. If you are interested in starting a LSL in your suburb, please send a private message through to the Facebook page above so that they can record the location and follow your journey. The Tardis LSL at Garran. This seems to be a good idea. I noted there’s increasing number of street libraries but so will the vandalism and theft. My concern is, would this be a potential to close the Dickson Library and / or job losses? Great idea, and we now have one in Kaleen. Good for community spirit. I use the one at Mossy Point regularly. Have had some great finds and recycled lots too. We started ours at the beginning of December 2018 and it has been a lot of fun. Lots of positive comments from those that use the street library and plenty of spontaneous conversations with passers by. We'd encourage anyone to give it a go. I love the idea of little street libraries. Serious question though, how are lending rights payments affected by this? I know a few authors who get a payment based on books they’ve written that are borrowed through libraries. Are these little libraries exempt? Karah Ellis-Smith is this something we can do for Bruce community?? Thoughts?? I love The Hulk on the bikepath at Evatt! Yes. I have dropped off copies of my poetry books to one near me. Thanks for helping us get the word out. 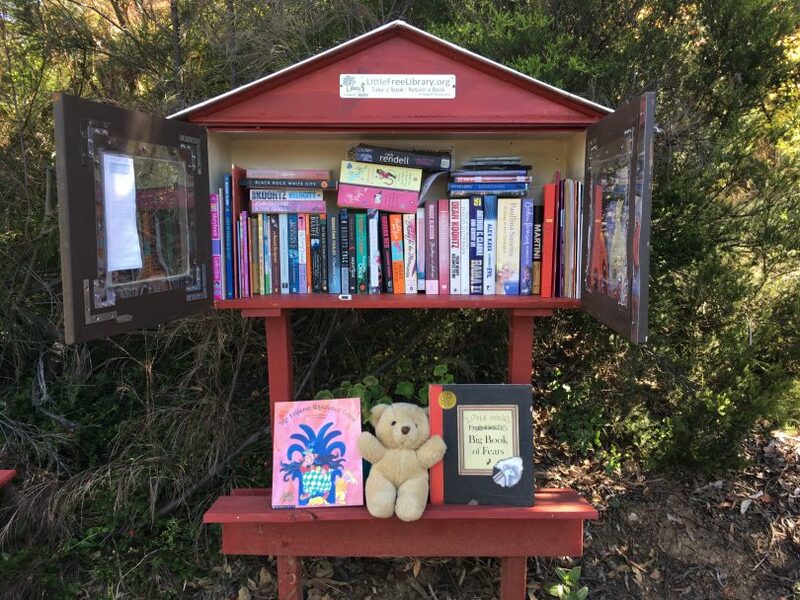 How wonderful would it be to have a Lil Street Library in every Canberra Suburb? We think it can be achieve with your help. Samia Goudie Tips vid to get you started. We love visitors to ours at the Gordon Community Centre! OMG I love these. So many in Weston Creek not so much Tuggeranong. Thanks Claire Ben-Clay for getting me into these! Laura, you may be able to find a good summer read? I've visited a few, however when I get out of my car, I get around in a wheelchair and many are not wheelchair accessible. Something to consider for those making them. Yeah a lot of them aren't good for wheelchair access. I hope people think about accessibility going forward.